HMT is an independent engineering office, focused on electronic remote monitoring and control of dredging projects. On behalf of a client, typically a federal-state waterways administration, HMT monitors and controls dredging work, carried out by any private contractor. To accomplish this work HMT develops its own tailor made software, incorporating all types of floating dredgers and all types of standard or unconventional dredging methods. The HMT services range from small dredging projects to the control and management of entire dredging fleets. based on electronically measured data which are transferred from the dredger to any remote location (HMT-System). HMT offers analyzing programs for all existing types of dredging equipment. for monitoring and calculation of results for individual dredgers and dredging fleets (fleet management). such as maintenance dredging, capital dredging, land reclamation,beach nourishment and marine mining. on the basis on detailed exploration of available dredging technology and environmental considerations. 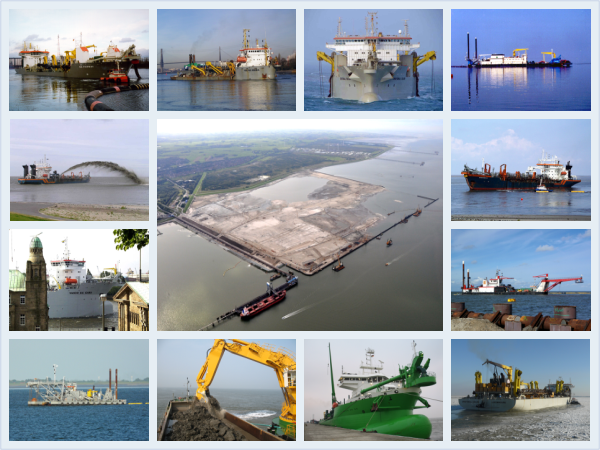 for analyzing and operational documentation of long term dredging projects. such as maintenance dredging, capital dredging, land reclamation and beach nourishment.